At many of the business schools we work with, search engine optimization (SEO) is often perceived as a mystical thing. Schools understand that they should be doing it, but don’t necessarily understand how or why. This blog post is meant to demystify SEO and explain why it’s crucial to business school success. SEO is the process of affecting the online visibility of a website in search engine results (i.e. Google, Bing, Yahoo!, Baidu…etc.). It’s also sometimes referred to as natural or organic search. Search engines crawl websites to gather information, then bring that information back to build their index. The index is then sent through their (ever improving) algorithm, and search engines try to match the information they’ve collected with the result that best matches a user’s query. 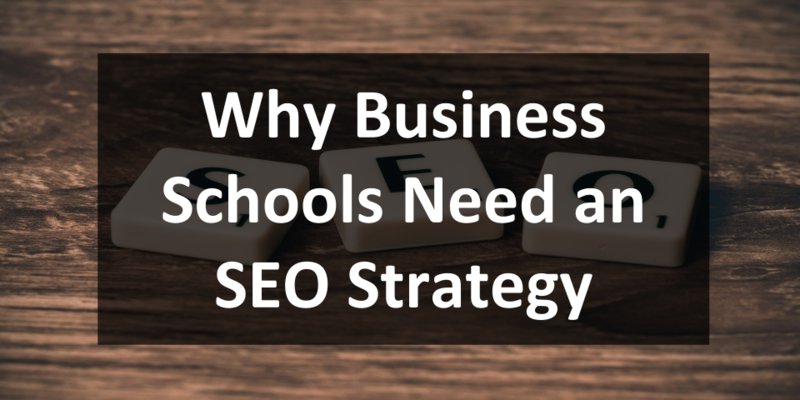 Why do business schools need a SEO strategy? Search engines want to provide the user with the best experience and most useful result based on their query. That means that you need to have SEO strategy in place. SEO can help determine how/what/why users are searching for in relation to your business school and programs. In addition, a large number of prospective students start their journey online, by using a search engine. If you’re not visible, you could be missing out on quality applicants and enrollments. Many users journey to a business school’s website by searching branded terms (terms that include the specific university of school name), these keywords are important as they show high user intent (since they already know which school they’re looking for / information they’re seeking). That being said, there’s a huge opportunity to get in front of a wider audience who may not necessarily know which school they want to go to yet, but are using search engines to do their research. 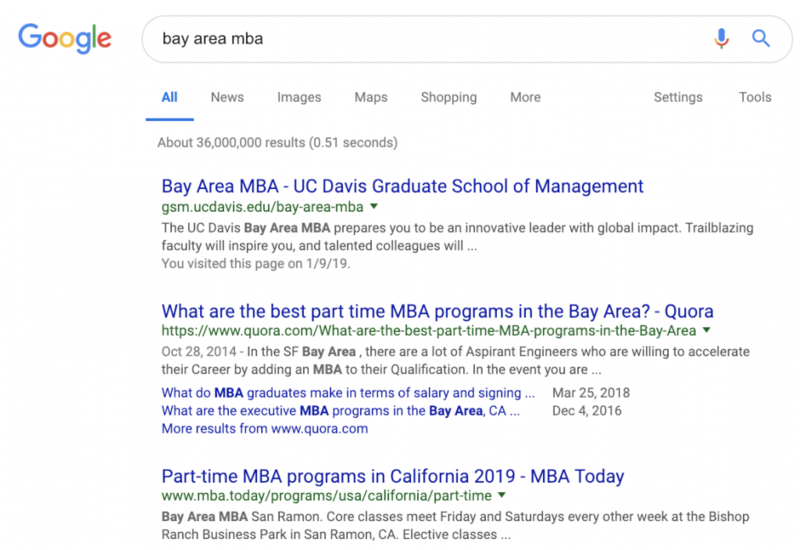 Yes, it’s important to get in front of prospects searching “[school name] mba”, but is also equally important to be visible for terms like “bay area mba”. 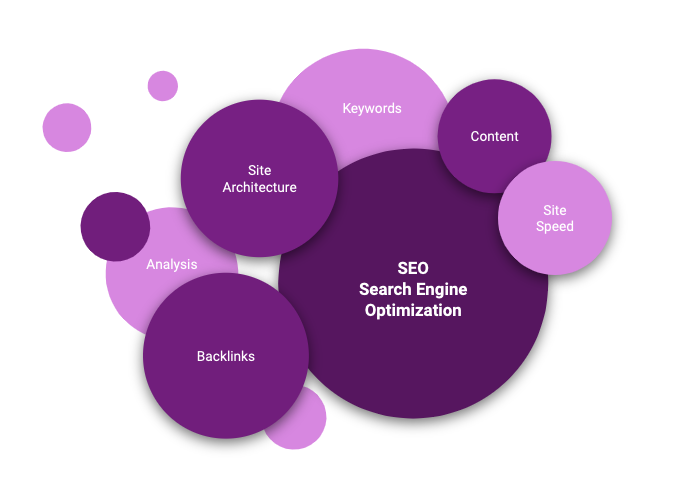 It’s impossible to be optimized for every single keyword in the business school industry, so you have to understand the keywords that your particular target market is searching for, and make sure you’re optimized. Technical: Optimizations made to navigation, user experience, website speed, site structure and navigation, and URLs to name a few. On-Site: Optimization of HTML titles, meta descriptions, headers, as well as ensuring that content is aligning with how/what users are searching for. Off-Site: Optimization of off-site profiles like Google My Business and earning quality links from 3rd party websites. I hope this post helped highlight the fact that SEO isn’t a mythical thing, and that creating and implementing an effective strategy is within your grasp. 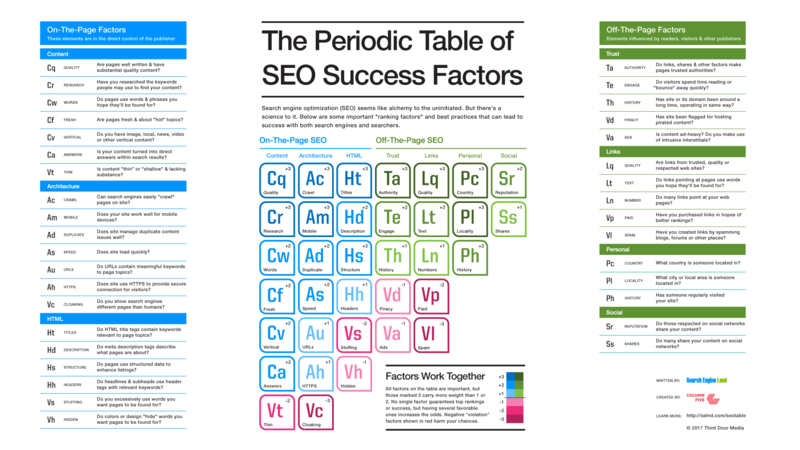 That being said, you can’t do everything, so make sure that your SEO strategy is based on your website’s unique needs, goals, and priorities. Interested in learning about how we can help? Contact us.